Simplicity and sophistication exuded by the design of this horizontal bar ring makes it an alluring piece of jewelry. 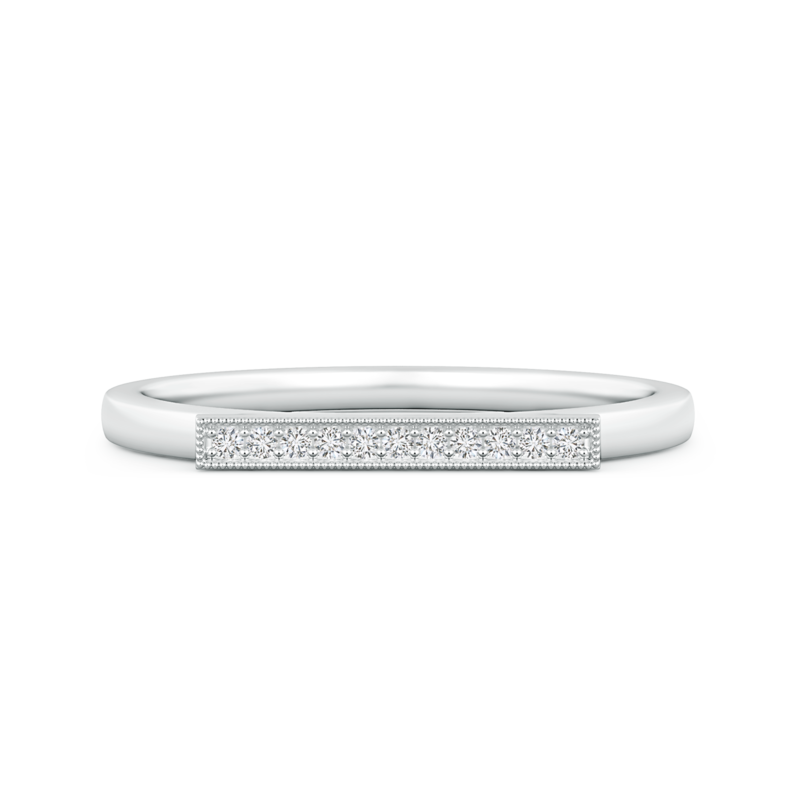 Designed in 14k white gold, it features sparkling lab grown diamonds that are pave set within the horizontal bar frame. Milgrain detailing surrounding the eco-friendly gems further draws focus to their fiery magnificence. This extremely versatile and undeniably elegant ring also has a sleek shank that allows you to stack it along with other rings.